The decisions around buying a new home or selling your existing home have potentially significant implications and risk, so being led in the wrong direction can cost you a great deal of time, energy, effort and money. Furthermore, the costs of buying and selling property isn't cheap, so you should get what you're paying for - it's that simple. After working and speaking with thousands of people within our business and workshops since 2006, I can tell you that I've seen and heard so many wacky stories and unfortunate situations. Many of these situations were completely avoidable with the right guidance and information. The following publications are a compliation of helpful tips and valuable resources to help you avoid situations that are decidedly out of the ordinary. Whether you are a first time buyer, seller or experienced investor in San Diego county, CRES is here to provide experience, knowledge, integrity and professionalism. The best interests of our clients are always our primary focus. The market is constantly changing and by understanding where we are in the market cycle, buyers, sellers and home owners can properly plan and save valuable time, energy, effort and money. If you own a home, or are considering purchasing a home in the near future, don’t miss our most popular, face paced interactive forum discussion. For most of us, our homes are the single largest investment we’ll ever make. With a number of hurdles facing potential homeowners, such as affordability and obtaining a loan, it’s easy to see how important this class is today. This material in this class will help attendees understand the implications of home ownership, and provide a step-by-step map of how the purchase process works by taking them through a real-world purchase transaction. We also shed some light on common myths associated with buying and selling a home. Whether you’re a first-time home buyer, or moving up or down from a current home, we’ll break the process down in simple terms and teach your employees an easy-to-remember method of what is most important to buyers, sellers and creditors. Whether you’re buying a home, a car or applying for a job or credit card, lenders want to know the risk they’re taking by lending you money, and employers want to better understand your financial disposition and character. At the same time, credit reports in the US contain some 40 million mistakes, and nearly 1/4 of all reports contain some type of error. Buying and Selling real estate is a complicated event with many moving parts, important deadlines to be aware of, and potential liability built into the transaction. It’s usually not until after the process is completed that most buyers and sellers realize they could have done things differently to improve their results. Discover what you need to know to save time, energy, effort and money! How do I choose the right real estate broker/agent? How can I make sure to get the best interest rate? Understanding potential issues in a typical escrow? There are more than 15,000 real estate agents in San Diego, and just like most other professions, the 80/20 rule definately applies. Buying a home can be stressful to begin with, especially for timers. In addition, market conditions are constantly changing, and your strategy should move along with the change in cycles. In 2017, we're in a market with high demand and low supply, along with the prospect of rising interest rates. The wrong advice can cause you time, energy, effort and money! 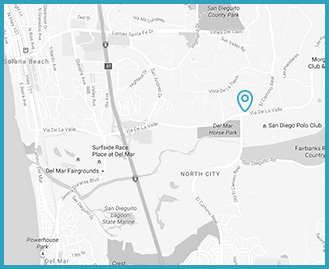 Take a look at this report first, and whether you want to FIND YOUR PERFECT HOME and NEGOTIATE THE BEST PRICE AND TERMS in San Diego, or are interested in MARKETING YOUR HOME to SELL, my staff and I are here to help you with all of your needs! Contact us at 858-809-3949 or email us at team.cres@att.net. Most people who move up to a bigger home or downsize to a smaller one, prefer to do the transaction together in one simple move. But, how is this best handled - do you use one Broker or two? There are many scenarios and potential outcomes to consider, and it's not a "one size fits all" solution. Your personal situation and market conditions should dictate the strategy and tactics. Beacuse, once you get started with this type of transaction, it's difficult to turn back. It's important to have someone experienced who you know, like and trust leading the way. Don't get caught in a situation where you are left with few options. Reserve your copy of the most important considerations with this type of move, or contact us at 858-509-3949 and schedule a free one hour consultation to discuss your situation in detail. Reserve your copy of this valuable guide and learn how to easily increase the sale of your home by 4-6% - or more in some cases. By getting a higher sale price, you can completely offset the costs associated with selling your home, and put more money in your pocket. In many cases, we're able to help the seller of a median priced home in San Diego put an additional $30,000-$45,000 in their pocket after closing - that's real, tangible value for you and your family! CRES is passionate about helping you get the most from your sale, with the least amount of stress - we handle everything for you! Contact us today for a free consultation. Not everyone is suited for investing. What makes a great investor, homebuyer or seller? These character traits are common with some of the most successful investors out there. More than just investing, adopting some or all of these traits can help you make better, more informed decisions. Check out the report here.